The original sleep application. 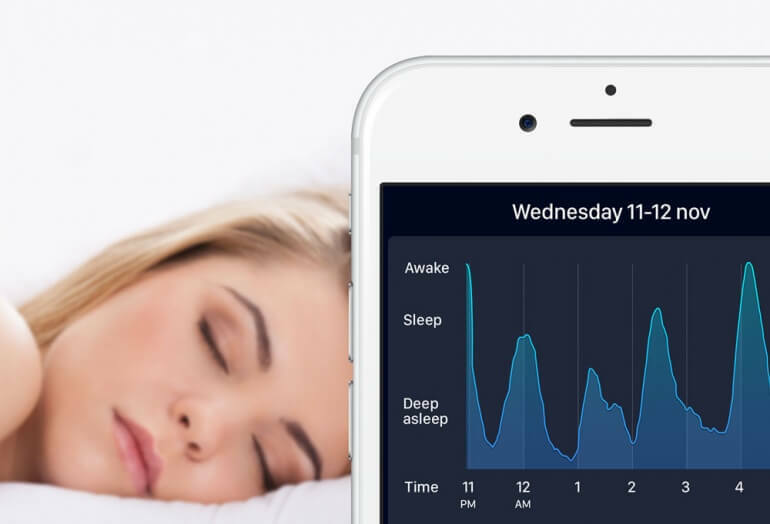 This app tracks your sleep, wakes you up when the time is right. This helps you feel more rested all day long. 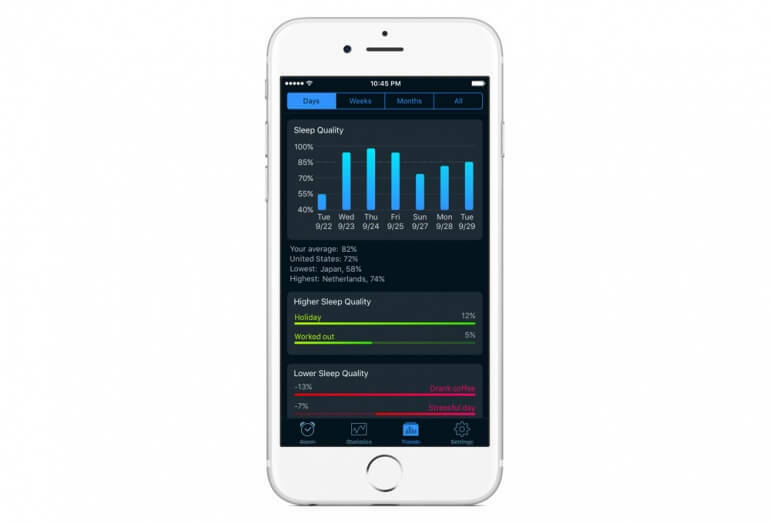 This app uses either motion sensing or audio sensing to track your sleep patterns at night. 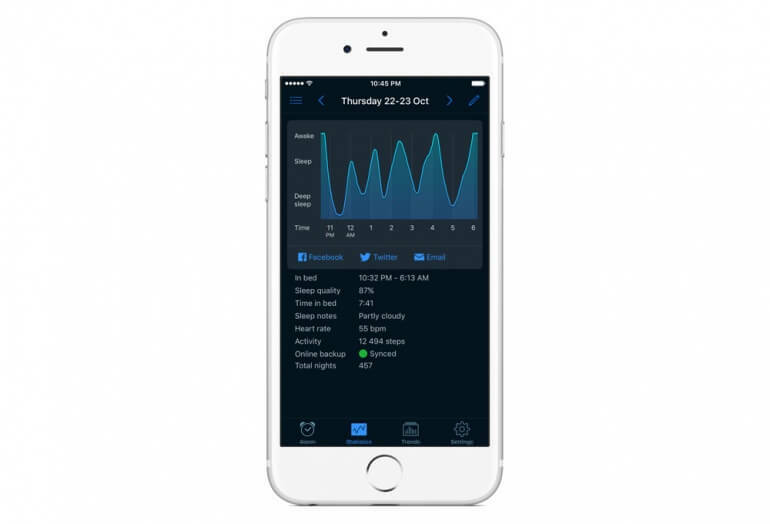 By observing your patterns, the app wakes you up during periods of light sleep. This lets you wake up feeling naturally rested and ready to take on the day. The wake up phase is a ~30 minute period where Sleep Cycle monitors your movements and wakes you up gently. The app works for iOS and Android phones. 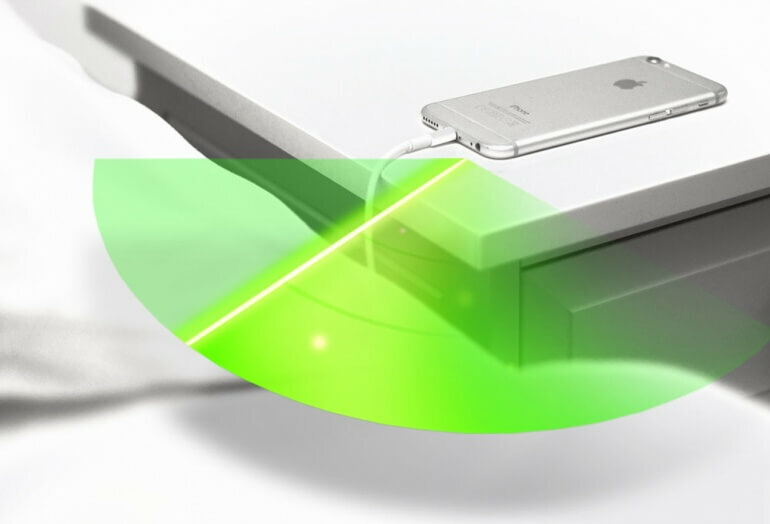 It tracks and catalogs your sleep, allowing you to make notes and improve your sleep patterns through analysis.